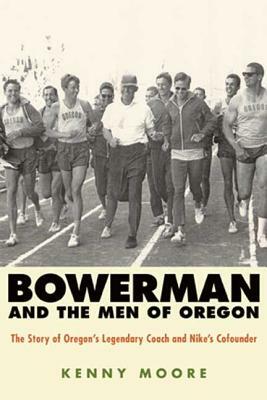 Bowerman is like the Forrest Gump of running history. If there was a major event, then he was there. With the full cooperation of the Bowerman family and Nike, plus years of taped interviews with friends, relatives, students, and competitors, two-time Olympic marathoner Kenny Moore - himself one of Bowerman's champion athletes - brilliantly re-creates the legendary track coach's life. KENNY MOORE, who trained with Bill Bowerman at the University of Oregon, is a two-time Olympic marathoner and former senior writer for Sports Illustrated. He cowrote and coproduced teh movie Without Limits, based on the life and tragic early death of Hall of Fame runner Steve Prefontaine. Moore lives in Eugene, Oregon.